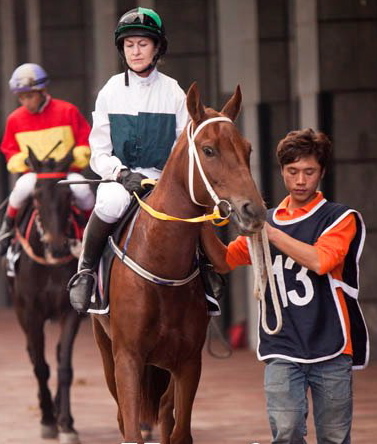 Wuhan hosted the first international race ever to include lady amateur jockeys today when they rode against male professionals in the Singapore Turf Club Goodwill Cup. Congratulations to both MILES SESTON and PIP TUTTY for winning rides today at Musselburgh and Nottingham respectively. 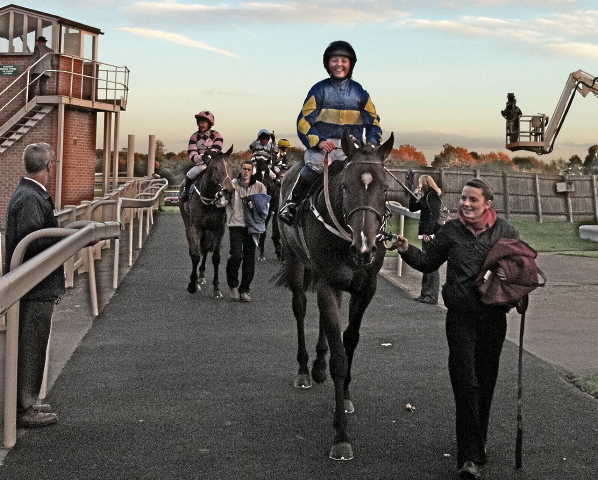 Pip Tutty led in to the winner’s enclosure at Nottingham this evening on Hurricane Thomas who also won the Best Turned Out award. Serena Brotherton also retains her title of Lady Flat Champion Jockey for a 4th time with an incredible tally of 8 winners this season and the ladies’ runner-up slot is shared by Louise Allen and Racheal Kneller with 3 wins each. Many congratulations to all amateur jockeys who have enjoyed winning rides this season. 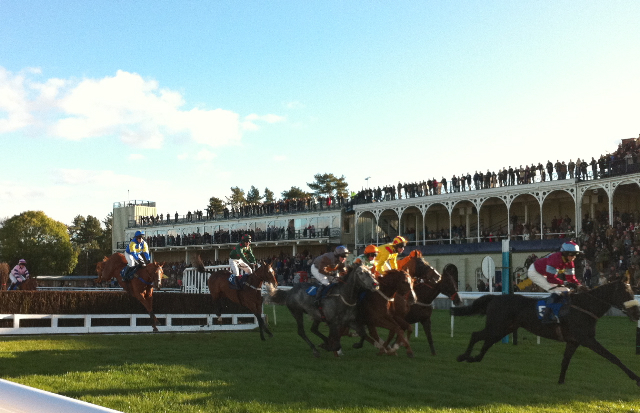 We are organising a charity race in aid of GREATWOOD at Cheltenham on Sunday 14th November. One of our riders, Michelle Baldwin, has raised all of the sponsorship money required but now desperately needs a horse as hers has just gone wrong. Please can you help? 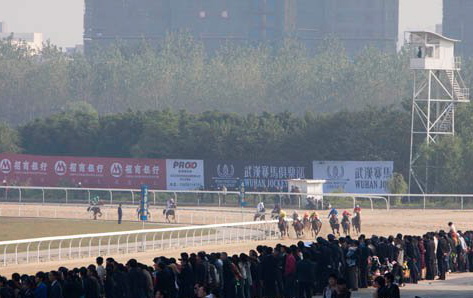 The race is for horses rated 80 to 125 and is over 1 mile 5 furlongs. Michelle rode in the People’s Race at Aintree and so you know she can ride! Please call the AJA on 01886 884488 or e-mail sph.oliver@btinternet.com if you can help. With boss Jonjo O’Neill’s yard in flying form, 2 of his 3 winners at Towcester took both divisions of the 2m amateur riders’ handicap hurdles ably ridden by Alan Berry. The veteran Spider Boy, long associated with former amateur Gemma Gracey-Davison, set a strong early pace in the first division which played into the hands of AMUSE ME, who cruised into the lead from two out and won comfortably by 7 lengths. The second division showed Alan at his best completing his double on KENSINGTON OVAL. The lead had been taken by BOCCIANNI after the last but Alan was to deny Emma Sayer victory and drove his mount strongly to lead by half a length as they passed the post. 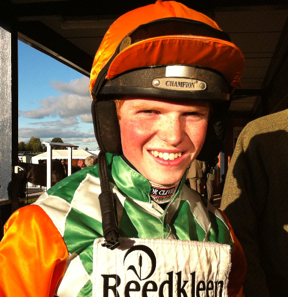 Congratulations to Tom Garner, successful at Ludlow today on FEELING PECKISH for Michael Chapman. FEELING PECKISH, enjoying his first taste of victory in his 79th run of his career, warmed to the task having blundered slightly at the third and, with coaxing from his jockey, went clear three from home to score as he liked a good 15 lengths clear of the remainder. A couple of places remain for the Towcester 7f charity race in aid of the INJURED JOCKEYS FUND taking place on Thursday 4th November. Congratulations to Will Biddick on a winning return to the amateur ranks at Exeter today where he won the opener, the amateur riders novice hurdle, for Paul Nicholls on Garton King. This is a timely reminder to all amateur jockeys considering turning professional that 25 is the number to remember!! 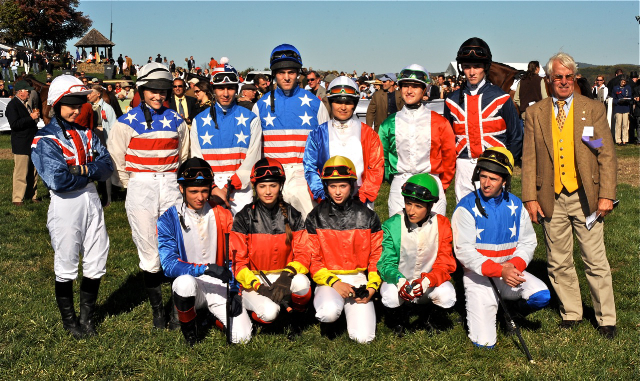 Congratulations to Jack Quinlan on his recent successes in the saddle which earned him a trip to the US, joining last year’s ladies jump champion Lucy Horner (herself a regular rider in the US) to ride in the Union Jack colours for America’s hosting of the finale of the Fegentri World Cup of Nations Series. Three races took place at Great Meadows, Penn International and Laurel Park. Jack won on his debut ride at Cottenham point-to-point last season and his 4 wins under Rules so far this NH season have taken him into third place behind John Mathias and Ryan Mahon. His eye catchingly cool win at Huntingdon on 3rd October on JOAN D’ARC beating Jamie Moore by a neck was followed up by a win on ICEMAN GEORGE at Huntingdon on 12th October, the day before he flew out to the US. Pictured above at Great Meadows are the Fegentri teams with host Don Yovanovic, Director of the Amateur Riders Club of the Americas. An exciting opportunity awaits NH amateur riders who are interested in working, riding and holidaying in New Zealand! New Zealand’s jump racing season starts in April and runs through to the end of September and this is when most opportunities exist but there is also the option to start later for the NZ summer and work and ride as well. If you would like to broaden your horizons and have an incredible time, please e-mail the AJA at sph.oliver@btinternet.com.